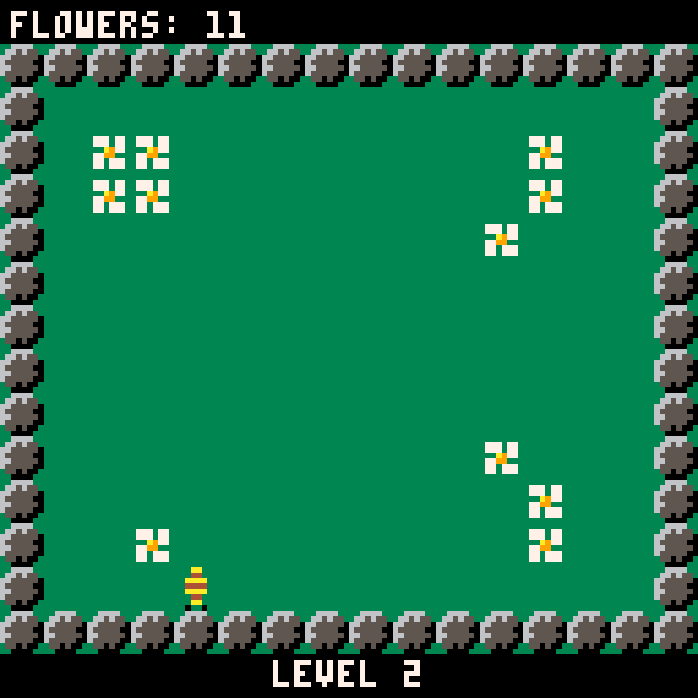 Great Bee is a PICO-8 game by NotEvenGames. 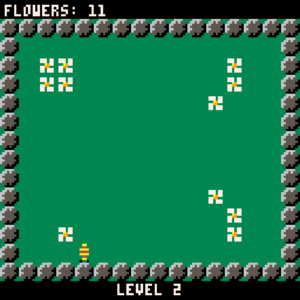 In Great Bee, you play a bee that have to forage all the flowers in every level. The frog and the sun are your enemies. Colliding with them kills you. The sun is moving slowly, but the frog is accelerating over time. The sun can also be helpful because when it touches a flower, it will turn it into a strawberry. When you eat a strawberry, you become a super bee for a few seconds and you can slap the frog to reset its speed.